Perfect for building pizzas, slipping them in and out of the oven, slicing and serving. Turn your kitchen into a pizzeria! 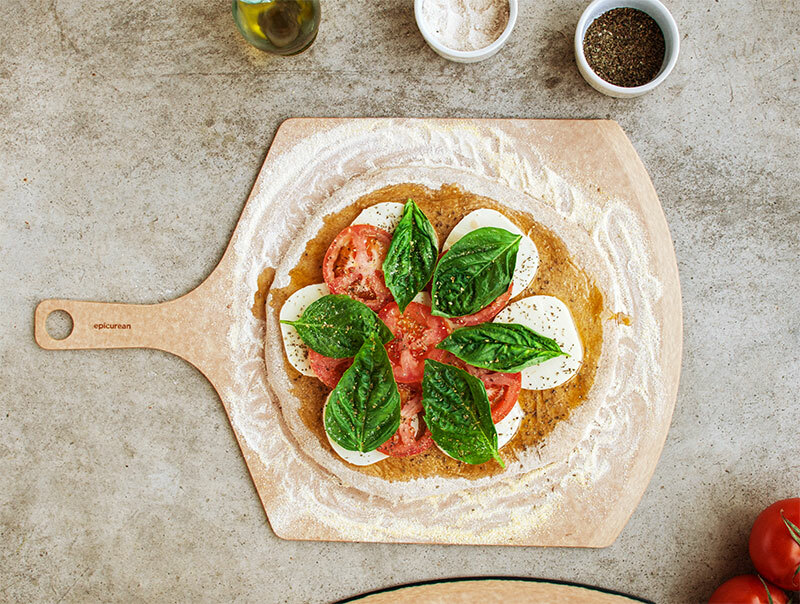 Epicurean Pizza Peels won’t help you hand toss the dough, but you may be inspired to try. Build or place your pizza right on the peel and then slide it off onto your preheated oven rack or pizza stone. The beveled edge makes it easy to scoop your perfect pie from the oven when the cheese is hot and bubbly. Because these peels are made with the same material as our cutting boards, just slice (using your Epicurean Pizza Cutter, of course) and serve. These peels are made with 3/16 inch material.